We've answered some frequently asked questions below. If you have a different question, email us at bats@improv.org. Can I use my six-pack or two-pack to get tickets at the door? No, you need to make a reservation in advance to use your flexpass tickets. How do I make a reservation using my six-pack or two-pack? You should have a unique subscription code. If you received your six-pack or two-pack as a gift, it should have been printed on your gift certificate. If you purchased a six-pack or two-pack, you should have received your subscription code via email shortly after purchase. To make your reservation, simply enter this subscription code on our website during checkout for the show you want to see. 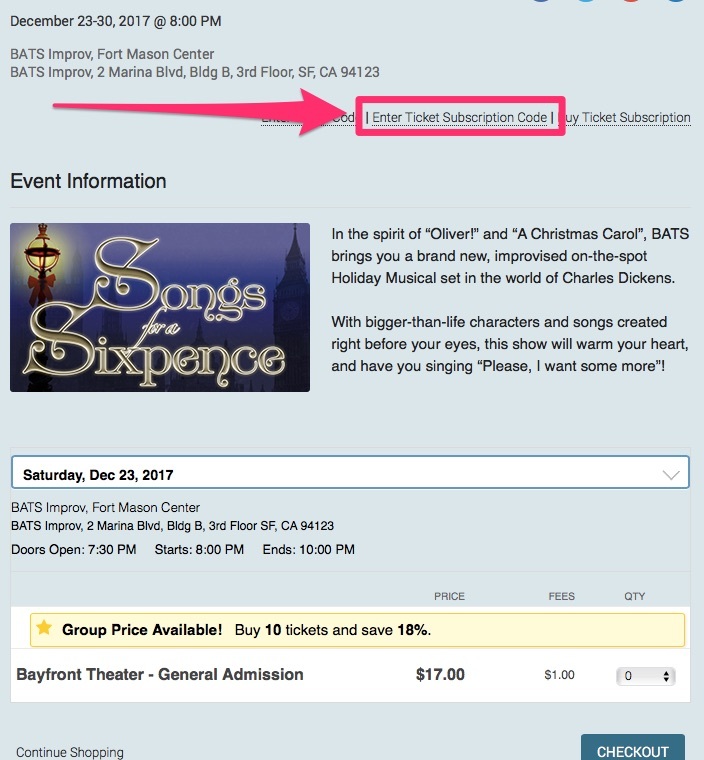 The link for "Enter Ticket Subscription Code" is located above the show description.